Several weeks ago I showed you CHANEL’s Spring/Summer 2019 launches — that is, all but the two pieces starring in today’s post. This 9-shadow palette is only the second in this format that the brand has ever created, and this beauty holds an interesting & unexpected mix of hues, while the accompanying cream shade has quickly risen through the ranks to be the one I currently reach for … over & over again. The tradition began in 2002 where each December, Karl Lagerfeld began unveiling a collection dedicated to CHANEL’s Métiers d’Art — the specialist manufacturers behind the exquisite detailing found on the House’s fashion & accessories. This past December 2nd, the show was held in New York’s Metropolitan Museum of Art with the spectacular Temple of Dendur as backdrop, hinting at the theme of the collection itself. For an armchair archaeologist like myself, I can’t even begin to express my feelings at this fusion of two of my passions: Ancient Egypt & beauty … be still my beating heart. Once Christmas passes, I begin anticipating the warmer weather with all the new beauty collections it brings, and first out of the gate for Spring/Summer 2019 is CHANEL’s Vision d’Asie: L’Art du Détail. Embarking on a photographic journey through Japan and South Korea, Lucia Pica — the brand’s head of makeup — was inspired by the Japanese philosophy of wabi-sabi: the art of seeing preciousness in imperfection, thereby elevating the mundane into something so much more. In the end, it’s about the interplay between shadow & light along with classic tones paired up against unexpected pops of colour … and it all just totally works. 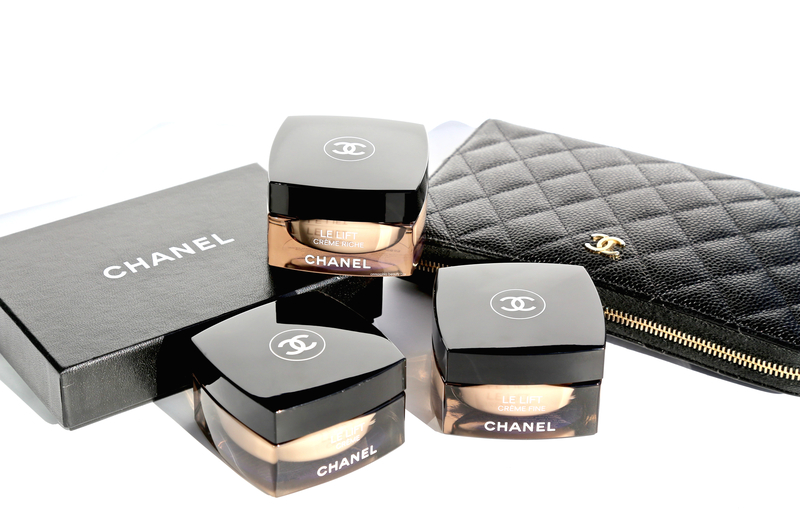 CHANEL has reformulated their Le Lift skincare range and apart from introducing 3 new textures, the jars have been given a facelift as well, coming in a rosy beige tone as opposed to the previous solid black. What a lot people may not be aware of, is that Gabrielle Chanel was quite the visionary when it came to taking care of one’s skin, envisioning a woman who took control of her beauty. According to Mademoiselle: “Nature gives you the face you have at twenty. Life sculpts your face at thirty. But it’s up to you to earn the face you have at fifty” (and beyond, I might add).